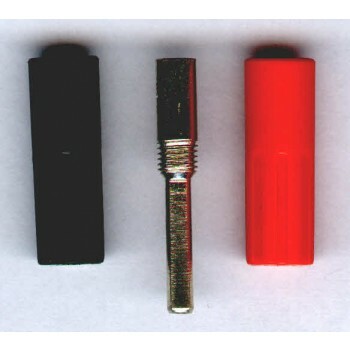 Banana Plugs, 4mm, sold in sets of 2. Nickel-plated, colour coded. Features large solder bucket which may be crimped and will accept a conductor of 4mm dia. Spring wire contact. Plastic sleeve screws on from the front.